It is always interesting to see what kind of research was done before classic Disney characters were finalized. 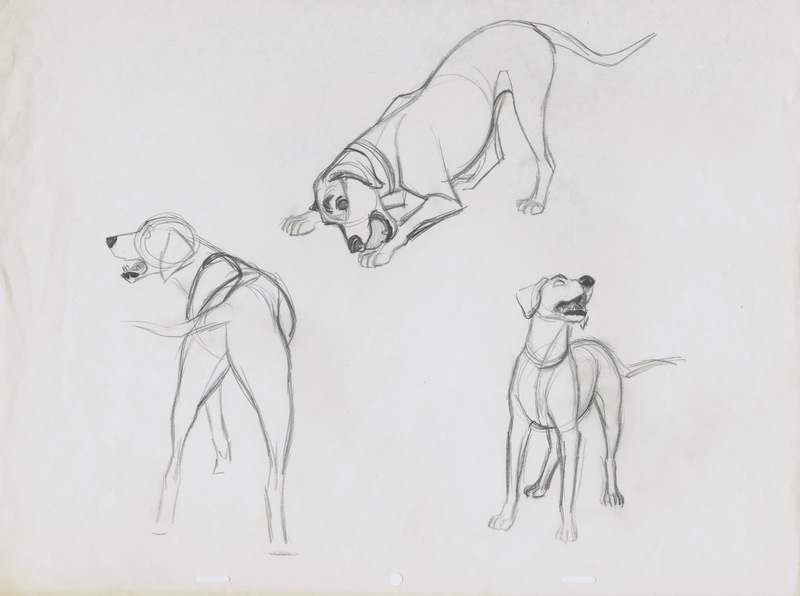 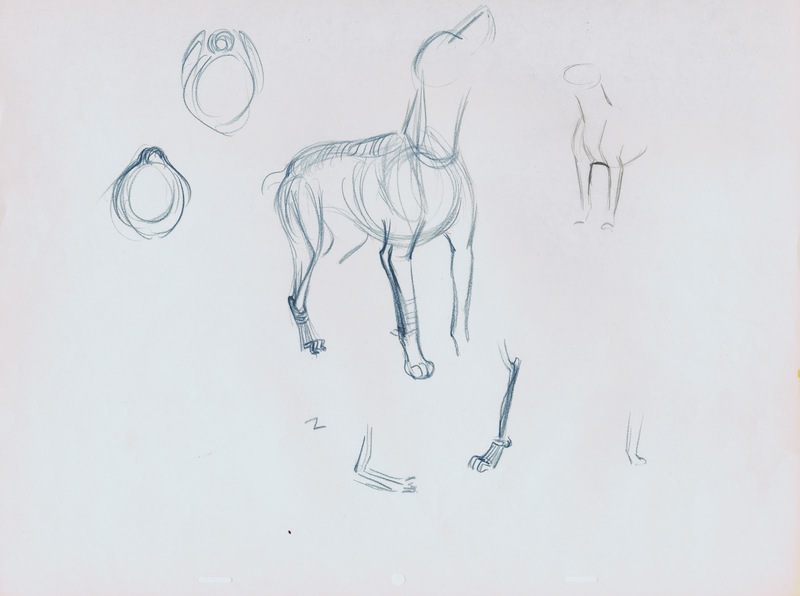 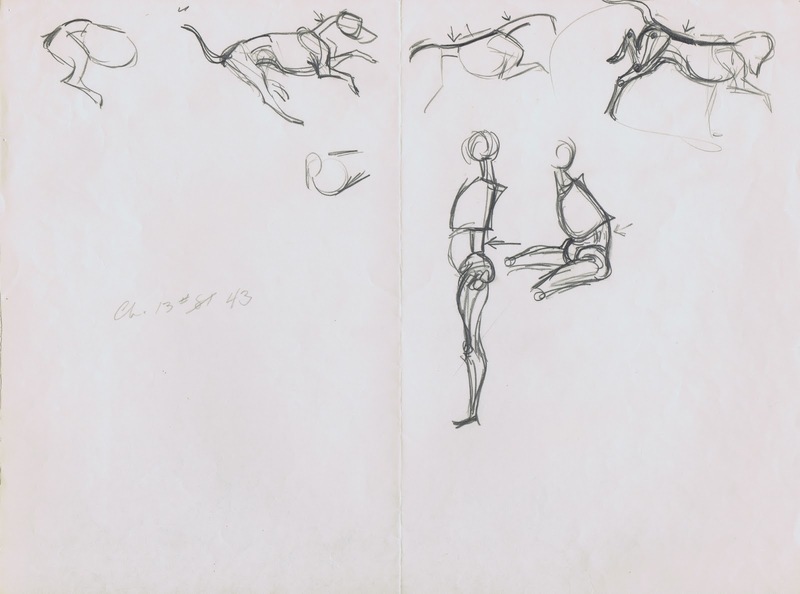 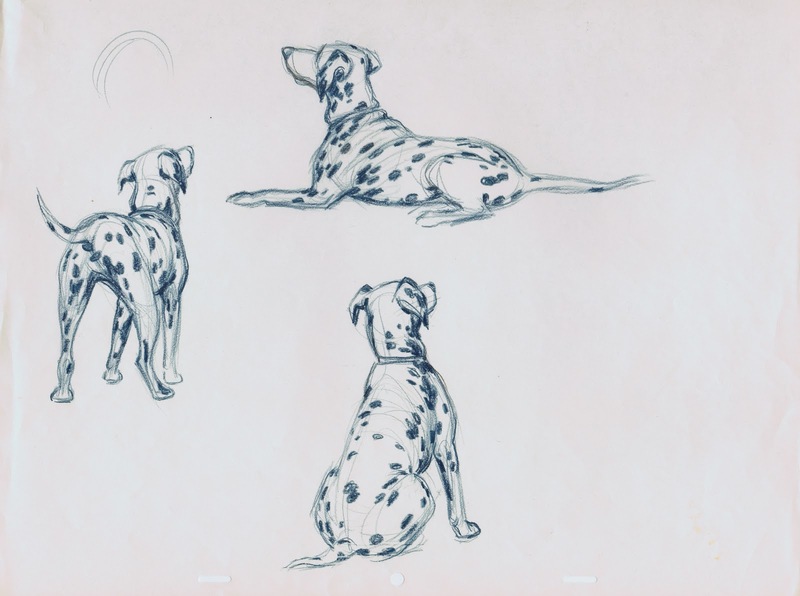 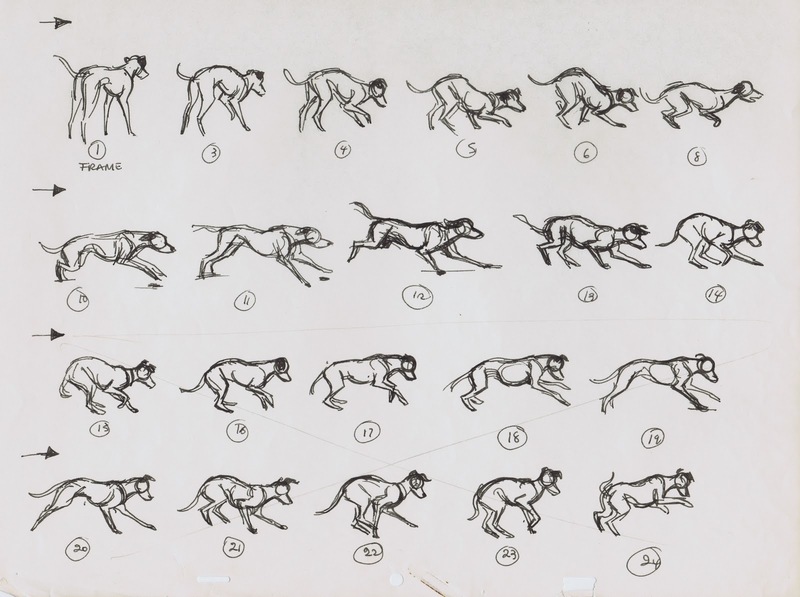 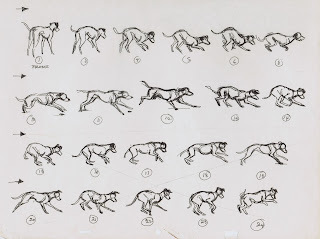 All these drawings were made before animation began on "101 Dalmatians". 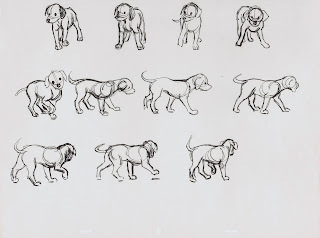 (Yes, you guessed it, this is post #101). 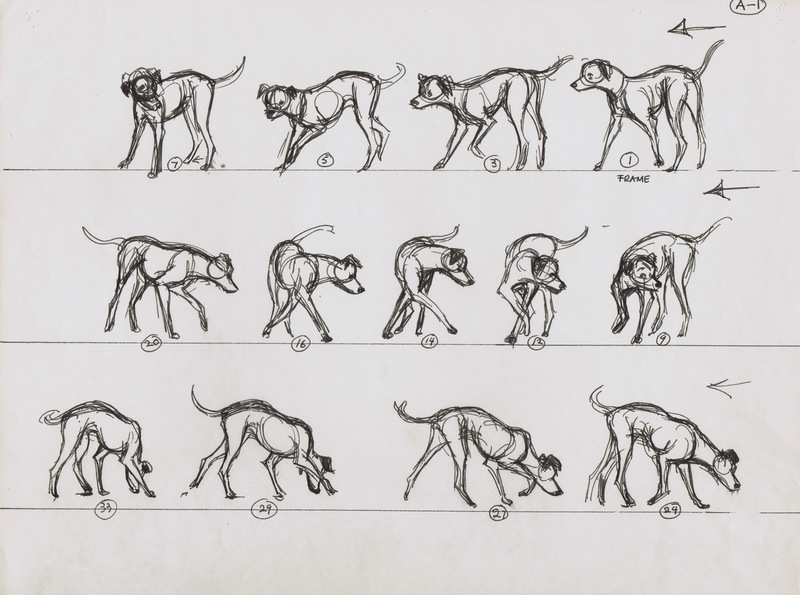 The animators were familiar with the anatomy of a variety of dogs. 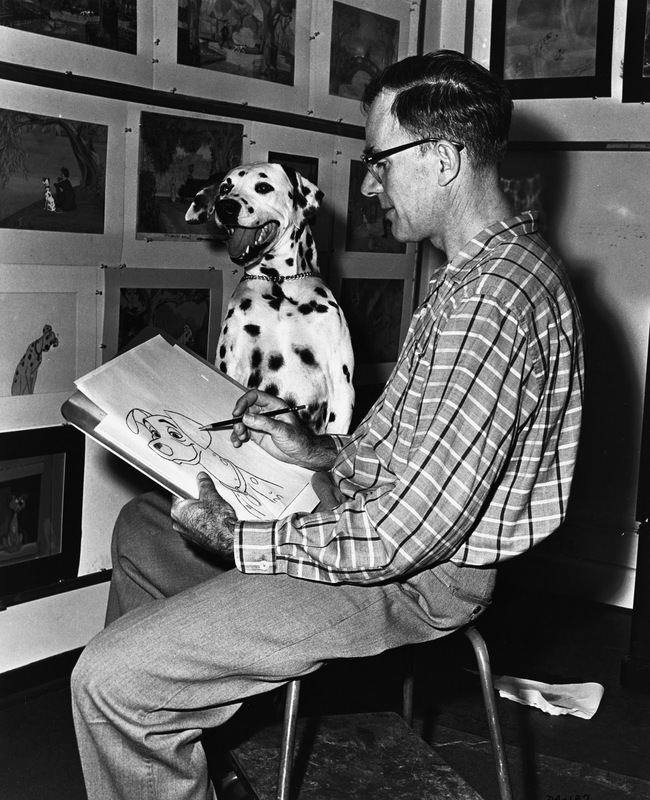 "Lady and the Tramp" had been produced just a few years before "Dalmatians". 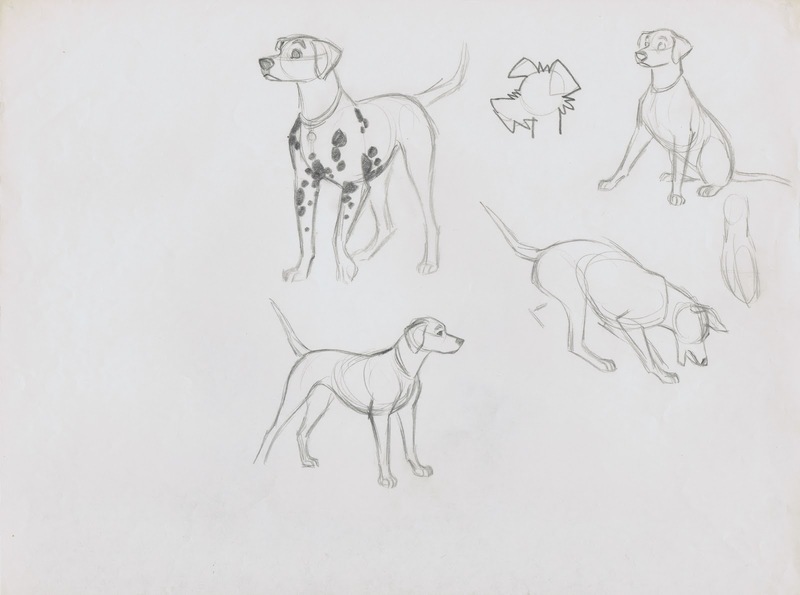 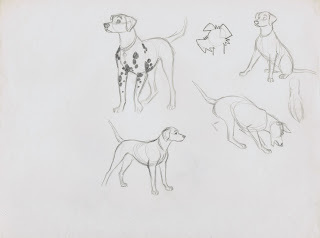 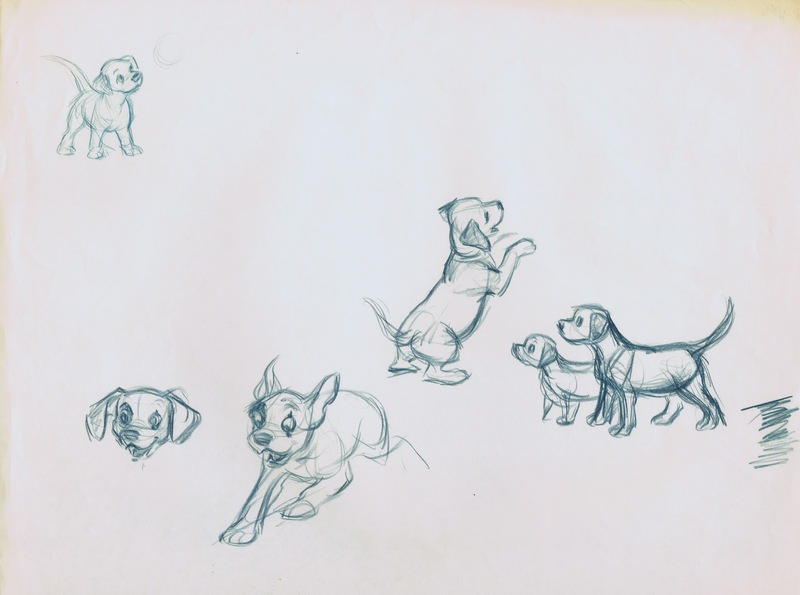 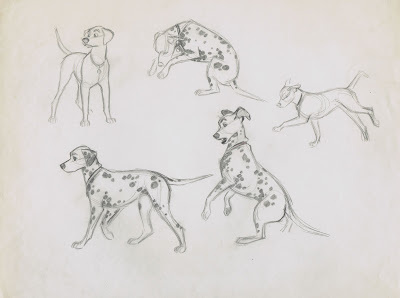 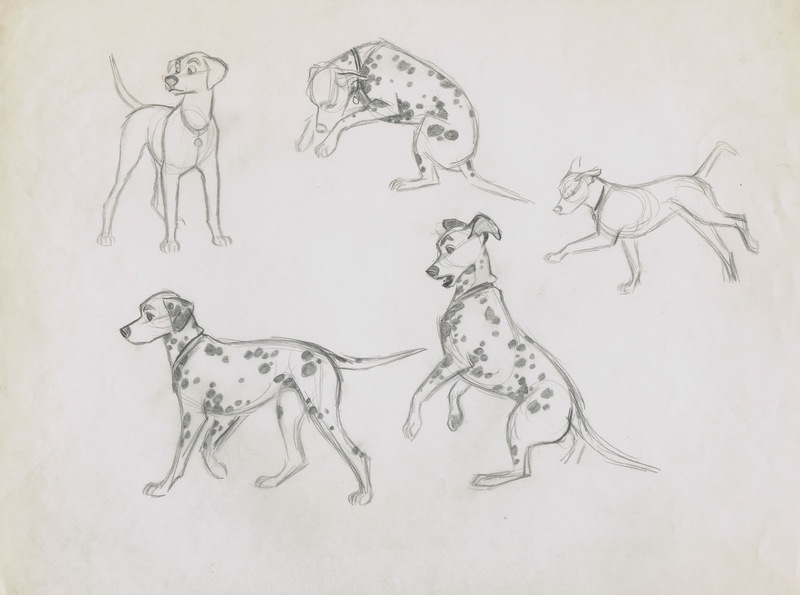 So here four of the supervising animators sketch and find out what is unique about a dalmatian (other than the obvious spots). 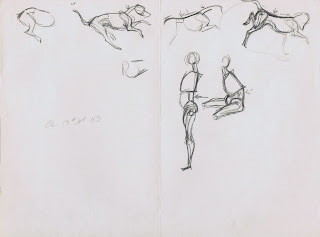 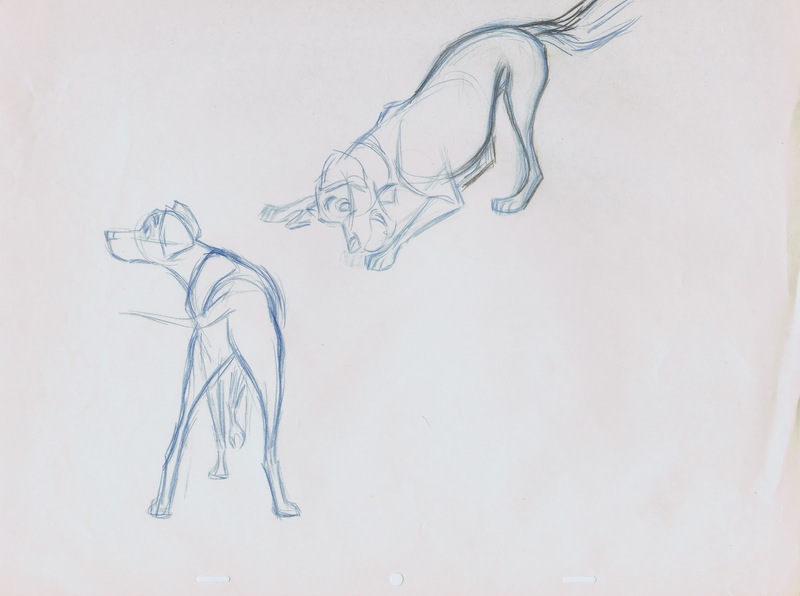 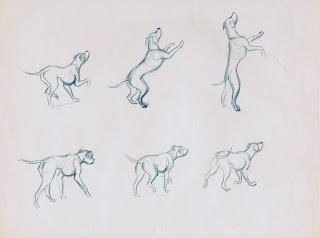 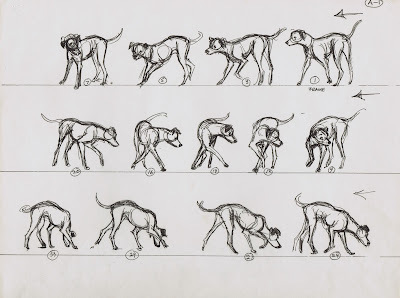 Some of these poses were drawn from dogs that were brought to the studio, others from live action film footage. 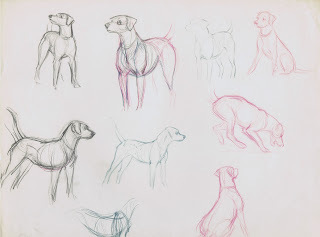 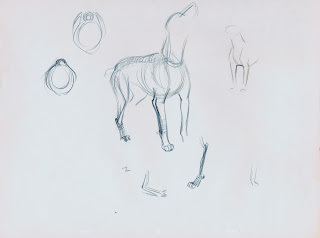 You can identify different drawing styles and approaches to anatomy. 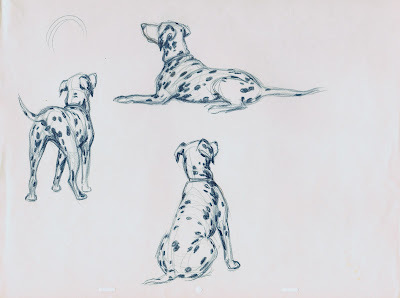 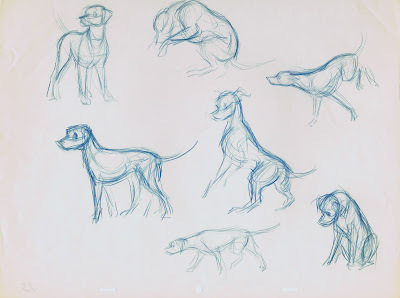 Marc Davis is the only artist who did not work on any scenes with the dogs. 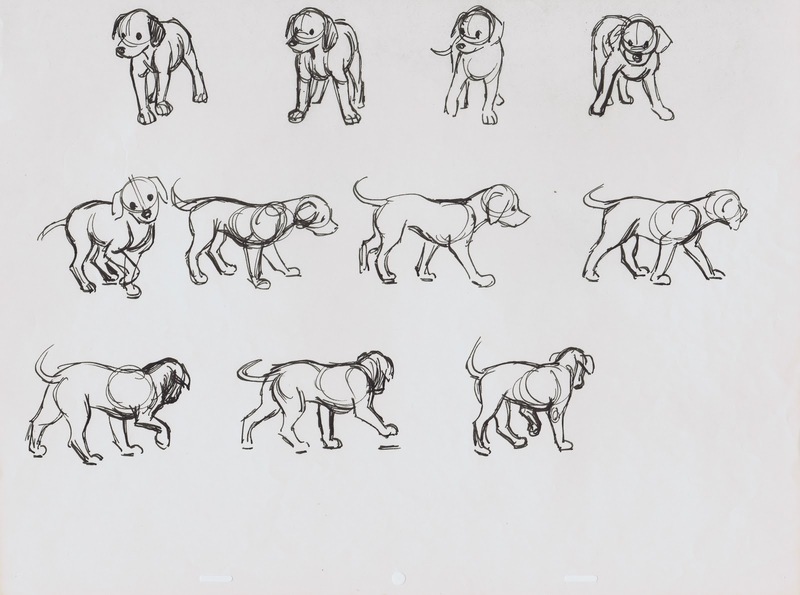 As you know he ended up animating Cruella de Vil, every single scene of that character.